Did you know that at one time in history, all nations of the world spoke only one language. It’s true! The bible gives us an account in Genesis 11 when God scrambled or confused the language because the people displeased Him by carrying out their lives apart from His counsel and plan for man. It was during this period in biblical history that the people of the earth elected to follow Nimrod who was grandson of Ham and great grandson of Noah. Nimrod was said to have been a mighty hunter before the Lord. He is accredited as the founder of Babel; ancient Babylon, current day Iraq. However, it appears that Nimrod served himself, in having and pursuing his own agenda, rather than serving God. This displeased God very much. The “Tower of Babel” is where the people under the leadership of Nimrod, worked on one accord to build a city. It was their intent to erect a building that would reach the Heavens, so to imply a desire to rule Heaven and earth. God saw their ill-purposeful union and intervened by confusing their language to limit their ability to effectively communicate with one another. God’s strategic move prompted not only separate and new languages, but also propelled the scattering of Nations over the face of the earth. Ultimately, resulting in the diverse nations, languages, and people that came to exist today. Ancient Egypt typically believed in the afterlife. Therefore, at the death of a King, Queen or other Royal family member, the pagan high priest was responsible for preserving their bodies through mummification. Mummification was an embalming process where the corpse of a person or animal is doused in salt, wine and spices and then wrap like a mummy until drying. The Ancient Egyptians built pyramids as tombs for the Pharaohs and their Queens. The oldest known pyramid was built in Egypt around 2630 BC. The “Great Pyramid of Giza,” one of three located on the west bank of the Nile river is said to be the oldest, largest, and only surviving structure among the seven wonders of the world. The Great Sphinx of Giza is the most famous Egyptian sphinx. It was built near the Giza Pyramids around 2500 BC. Historians believe that the face on the Great Sphinx is 4th Dynasty Pharaoh, Khafre. Noah’s Ark is one of the more famous of Bible stories. Ten generations from the time of Adam and Eve, the world had grown more distant from God and sin was at an all time high. God was deeply troubled with the corrupt state of mankind, and regretted having created them. The Bible tells us that God decided He would remove man from the face of the earth, but Noah found favor in God’s eyes. Noah was 480 years old and childless at the time God first instructed him to build the Ark. It would take 120 years to completion of the Ark. 22 years into building, Noah’s first son Shem was born, Jepheth and Ham would come the folowing next two years. God gave specific instructions to Noah regarding the type of materials, size and details for constructing the Ark which was to preserve Noah and his family during the flood. The Ark measured 450’L, x 75’ W x 45’ H. (approximately 1 1/2 times larger than a football field). The main entry door to the Ark was so big, that the bible tells us that God, Himself had to close the door. It was here at Mt Sanai, (sometimes called Mt Horeb)where Moses met God at the burning bush instructing him to return to Egypt to guide the Hebrews out of salavery. Upon fleeing Eqypt under Moses direction, the Hebrews camped in the wilderness region of Saudi Arabia. It was here at Mt Sanai that Moses climbed and met with God in receipt of the Ten Commandments which he established as Hebrew law. The Wilderness Booths provided temporary shelter or housing during Israel’s years in the wilderness. To construct these small tabernacles, the Israelites made walls of twisted branches and roofs of loose leaves, permitting starlit views and rain to enter. Today, The Feast of Booths (or Tabernacles) is still celebrated among the Jewish faith in remembrance of Israel’s days in the wilderness where they lived in tents in route from from Egyptian slavery to Canaan, the Promise Land. During Bible times the threshing floor was the place where harvest grains were threshed out. They were primarily used for separating the grain and wheat from the husk and debris. Vineyard farmers also used threshing floors for trampling the grapes. A threshing floor was a flat stone or brick area of a field, resembling a patio. It’s purpose was to provided a solid floor in the field to allow thrusting or treading of harvest. After the threshing process, the stalks and grain were then thrown up into the air so that the wind could blow the chaff and debris away, leaving the good kernals of the harvest. This was called winnowing. During Biblical times, dreams were commonly regarded as divine messages. Ancient civilazation understood that dreams reveal personal aspects of a persons life represented through symbolism. Dream interpreters were often sought and depended for accurate interpretations. A number of Bible Patriots are know for having the gift and ability to interpret dreams, although they outwardly revered God as the true interpreter of dreams. Jacob’s Ladder is representative of a dream Jacob had while camping one night on his journey to seek a wife. In the dream, Jacob saw a stairway or ladder with Angels assending and decending upon it, between heaven and earth. God stood at the top of the ladder, and spoke with Jacob re-confirming His promise to bless Jacob’s grandfather, Abraham’s and his decendants. In the history of Bible Patriots, Joseph, the great grandson of Abraham was given a coat of many colors by his Fathers, Jacob. The Bible tells us that Joseph was the much loved son of his father over the other ten sons of Jacob. Joseph’s story is a great one; centered around fulfilled purpose, propelled by jealousy. We are told that Joseph was hated by his brothers who envied the favoritism shown to Joseph by their Father Jacob. Jacob’s love for Joseph was a result of his love for Joseph’s Mother, Rachel, one of two sisters Jacob had taken as wives. The story unfolds when Jacob leaves his home ate the age of 17 in fear of his life at the hand of his brother, Esau. Under the advisement of his Mother, Rebekah, Jacob sets out in search of a wife from the household of his Uncle. Upon arriving, he is met at a water well by a young woman named Rachel, and it seems it was love at first sight for them. Jacob feeling he had found the love of his life then asked his Uncle Laban’s permission to marry the beautiful Rachel. Laban approved, with the condition that Jacob would work for him for a period of seven years as payment for his daughter. On the night of their marriage, in the bedroom chamber, Jacob removed the veil from his wife’s face only to discover his bride was “NOT RACHEL,” but Leah, her older sister. Needless to say, he inquired of Laban about the trickery; Laban’s response was that it’s not customary to marry the younger daughter before the older. His Uncle then proceeded to propose another arrangement of marriage, this time to Rachel, if Jacob would agree to work yet another 7 years for him. What was Jacob to do, except agree? The Shofar was used to signal or sound various holidays or corporate tasks among ancient Israelites. It was a form of mass communication. The Shofar was commonly used to sound the Sabbaths, announce Jewish holidays, to call the people to the Synagogue. The Israelites also made use of he Shofar in battle, processions, as well as to accompany other musical instruments. During Israel’s wilderness years under leadership of Moses, the people established Jewish laws for repentance, sacrifice, and worship. It was during this period in Biblical history that God gave strict instructions regarding the erecting of the wilderness “Tent of Meeting” and its cultural conditions for service and worship. The Shekinah Glory represents the manifested presence of God. The bible makes several references to the present of God showing up in a cloud or smoke. The Israelites first encounter the visibly public presence of God, while fleeing Egypt, in route to the Promise Land. There God appeared to them as a pillar of cloud by day and a pillar of fire by night as a guide through the Wilderness. 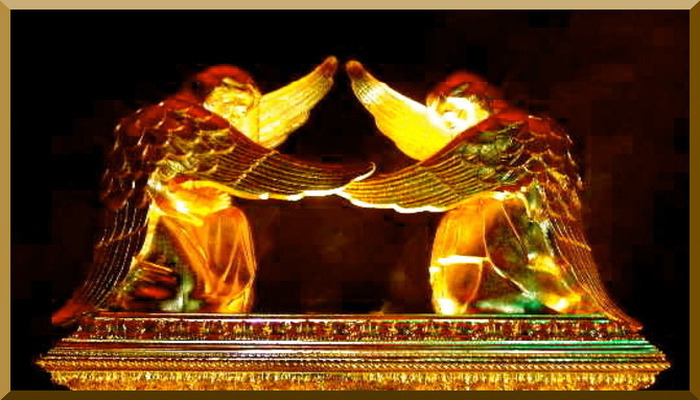 It was during their years in the desert that the Glory of God rested in “THE MOST HOLP PLACE,” between the Cherubim’s on the Mercy Seat of the Ark of the Covenant. Among the 12 sons of Jacob, God choose Levi as the Priesthood. From Levi all the males are divinely designated to serve as Priest to the Israelites. Moses and Aaron were born to this linage. Old Testament Priest were required to sanctify themselves in preparation of Temple service on behalf of the people. When the O.T. Law was given, Moses was instructed to appoint Aaron and his sons as Priest for Israel; this meant a lifetime appointment. The High Priest office was reserved for the oldest descendant, beginning with Aaron. Only the High Priest was allowed access into the Holy of Holies to make Atonement on behalf of the Israelites once a year. O.T Priest were required 7-day consecration ceremonies. These ceremonies involved extensive washings, anointing with oils, specific sacrifices, and the consecration and dedication of Priestly garments and various Temple Articles before service was permitted and accepted by God. The Laver was one of several important, strategically placed Articles of Temple worship. The laver was an oversized bronze bowl filled with water which sat in the outer court on the left side of the Temple. It was required of the Priest to cleanse themselves at the laver after their Priestly sacrificial duties were carried out_before entering the Holy Place. To omit this washing ritual, meant defilement of the Temple, and brought death to that Priest.